The online version of this article ( https://doi.org/10.1186/s12936-019-2759-1) contains supplementary material, which is available to authorized users. A total of 95 Anopheles mosquitoes were collected from villages within 30 km radius in Nouna Department, BF. The species composition based on genotyping is listed in Table 1 and illustrated on the map in Fig. 1a. The raw genotyping results are listed (see Additional file 2). Anopheles coluzzii is the most abundant vector species in the majority of villages. In the village of Bourasso equal numbers of An. arabiensis and An. coluzzii were found. In Kamadena, the location furthest away from Nouna town, one An. gambiae sensu stricto (s.s.) specimen was found, together with An. arabiensis and An. coluzzii. The relative abundance of An. arabiensis (20%) observed near Nouna differs from previous reports that An. arabiensis was absent in that location . This observation suggests that An. 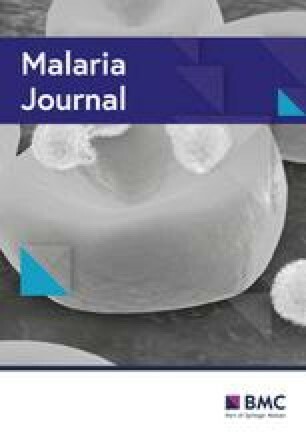 arabiensis can increase in abundance after successful introduction of insecticide-treated bed nets, as observed in many locations throughout sub-Saharan Africa [18, 19, 20], possibly because it is less affected by insecticide-treated bed nets compared with An. gambiae . Furthermore, the relative abundance of An. gambiae observed (1.1%) is significantly lower than that reported by Namountougou and co-workers, who found An. gambiae at a frequency of 23.3% in their survey . The overall pattern is consistent with a collapse of the local An. gambiae s.s. population, apparently being replaced by introgressed An. coluzzii carrying the L1014F (kdr) mutation, as observed in Mali . Additional file 1. SNP information on the DIS assay. Additional file 2. 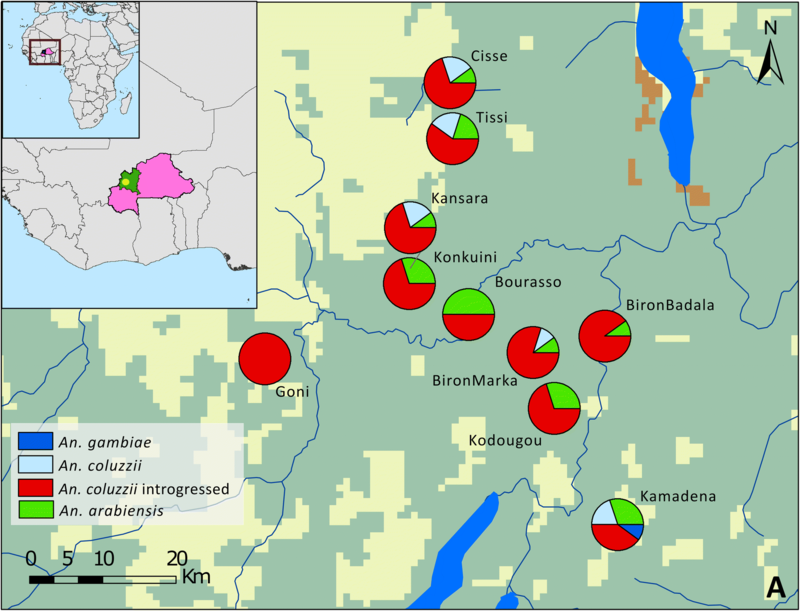 Raw genotyping data of the collected mosquitoes around Nouna, BF.